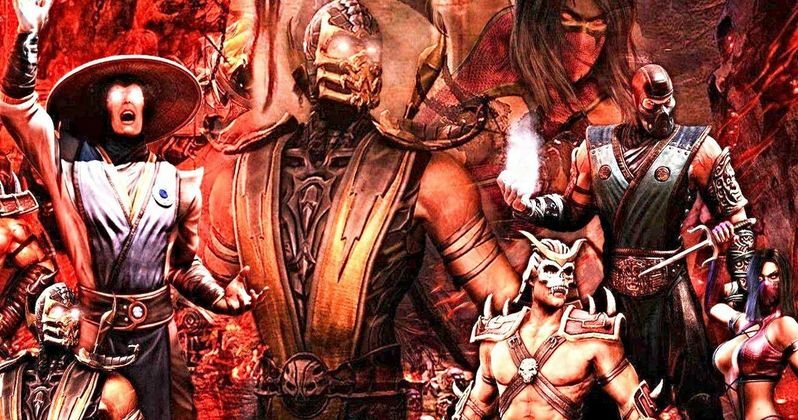 For those who are eagerly awaiting the arrival of the long-in-the-works Mortal Kombat reboot, best not to hold your breath as it sounds like it's going to be a while before this project comes to fruition. James Wan, the man behind The Conjuring franchise, Furious 7 and DC's latest, Aquaman, has been developing the project for some time behind the scenes. Unfortunately, it sounds like it's not particularly close to becoming a reality. James Wan is currently making the rounds promoting Aquaman, which arrives in theaters later this month. During a recent interview, he was asked about the status of his Mortal Kombat movie. Official updates on the status of the project have been few and far between, but Wan said what he could about its state and it's, sad to say, not particularly encouraging. Here's what Wan had to say about it. "That has been such a tricky one just trying to get the script to a point. People don't know this, fans don't understand this, but there's just so much on the business side of things... to try and get the right budget for it, and we want to make sure we have enough resources and the budget to do the film right. If I can't get the right resources and find the right filmmaker for it, I don't want to do it, and I'm so busy already. I don't need to clutter my plate with more stuff if I don't believe it can be done right." Indeed, the development process can be a long and tricky one for certain movies. And as James Wan mentions, he's got quite a full plate as is. He's producing The Conjuring 3, Annabelle 3 and the other spin-offs taking place in that universe, several other horror movies, in addition to directing Aquaman, which already has a sequel in the early stages. Plus, he's very in-demand. Part of what makes him so in-demand is the fact that his movies regularly perform well. That has to do with the fact that, it would seem, he doesn't press forward with something unless it feels right. As for Mortal Kombat, we last heard that director Simon McQuoid had been tapped to helm the project, with screenwriter Oren Uziel having penned a draft of the screenplay. We heard word of some character descriptions, but James Wan took to Twitter over the summer to warn against any rumors at this point in time. "Please don't be so easily baited by faux information. Good & bad news: nothing is happening yet. Literally. Still in early development. Anyone who tells you the movie is location scouting or casting is trolling you." Mortal Kombat was one of the earliest attempts in Hollywood to bring a popular video game to the big screen. Ever since then, studios have had a tricky time trying to make good video game movies. If anyone can do it, it's James Wan, but only when the stars align. And sadly, that may not be in the foreseeable future. This news was first reported by Heroic Hollywood.